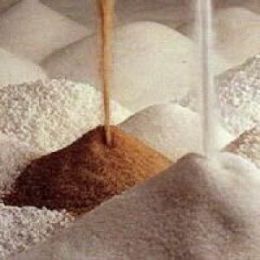 Production of sugar in the ongoing sugar season till January 15, 2012 surged by around 19 percent to 104.5 lakh tons which is around 17 lakh tons more than the sugar production upto 15th January of last year of 87.68 lakh tons, according to the latest Indian Sugar Mills Association (ISMA) data. Production of the sweetener has gone up around 22% over last year till date in major sugar producing states like Uttar Pradesh, Maharashtra and Karnataka. Total number of sugar factories crushing as on 15th January, 2012 in the country was 516 as against 498 on January 15, 2011. India’s second largest sugar producing state Uttar Pradesh registered higher output till date primarily because the State Government ordered the sugar mills in the state to start their crushing much earlier than usual. Cane availability to sugar mills for crushing increased in the state as lesser cane was diverted to local sweetener for manufacturing gur which is evident from the fact that arrival of Gur in UP mandis was less by about 17% till Dec, 2011 compared to last year. The state has so far crushed 347 lakh tons of sugarcane in comparison to 271 lakh tons of sugarcane last year upto the same period. Though the quantum of cane crushing is higher, the early crushing has affected the recovery which is lower at 8.49% till 15th January, 2012 in comparison to 8.85% last year.